Haunted Hotels in Kentucky anyone? During the past century Boone Tavern has provided cozy lodging and fine dining to many travelers. These features have contributed to the hotel’s heritage of hospitality. Boone Tavern has been visited by many notable guests, such as Eleanor Roosevelt, Duncan Hines, Archbishop Desmond Tutu, Alex Haley, Dalai Lama, Jesse Stuart, Robert Frost, and Geena Davis. Now you can be a distinguished guest by staying at the Boone Tavern. Reserve your room today by going to the Boone Tavern Web site. You will find this antebellum house in the historic downtown district of Glasgow. The dwelling offers four spacious guest rooms with private baths. There is a wonderful parlor and library filled with relics and old books. There’s a wonderful Victrola in the corner of the parlor that just might play a song on its own, if the ghosts are active enough. Check out the Web site for weekend specials. The Jailers Inn Bed-and-Breakfast is a place to enjoy a bit of history and to “do time” in the old jail. Of course your time will be a short stay as you enjoy their Southern hospitality. They offer a full breakfast, private baths, and a complimentary tour through the historic jail. Please check the Web site for weekend specials. Voted “Most Historic Charm in the US” and “Best B&B in Kentucky” and “Best Breakfast in the Southeast.” You will find lots of amenities, which include a full country gourmet breakfast, homemade desserts and refreshments during the day with hot and cold beverages available. Check out the Web site for a variety of weekend specials. You get closer to nature at the Mullins Log Cabin. Judy Mullins offers workshops in basket weaving and herb picking if you want more to do. There’s so much to enjoy while staying at the cabin, and telling ghost stories by the fireplace at night might conjure up a ghost or two. Call Judy for reservations. 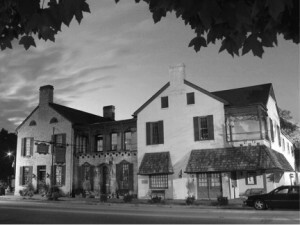 The Old Talbott Tavern has provided shelter and nourishment to Kentucky travelers since the late 1700s. It is said that the Tavern is the oldest western stagecoach stop in America. It continues to serve good home-cooked meals and furnish comfort and rest for the weary traveler. 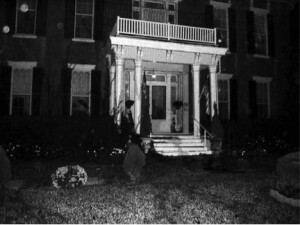 Saturday, 11 a.m.–4 p.m. (lunch) and 4–9 p.m. (dinner); Sunday brunch, 10 a.m.–2 p.m.
Springhill, the stately and historic 1857 plantation, is a destination to discover both the historic past and ghostly activity. After a delightful day, what better way to end it than to have a glass of wine from the vineyard. Check out the Web site for weekend packages and special events. Explore the scariest spots in the Bluegrass State with author Patti Starr in Ghoshunting Kentucky. Join Patti as she visits thirty legendary haunted places, all of which are open to the public – so you can test your own ghost hunting skills, if you dare. In addition to the above mentioned haunted hotels in Kentucky you go to Bobby Mackey’s Music World, the State Historic Theater and Natural Bridge Resort Park. Enjoy Ghosthunting Kentucky from the safety of your armchair or hit the road using the maps and the ghost hunting travel guide. 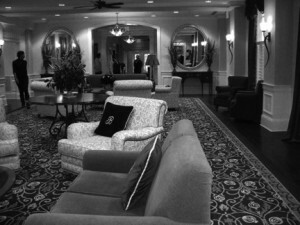 Book a night in a haunted hotel in Kentucky and get ready for a frightful night.